Interacive keynote speaker delivers bonding, team building and motivation! 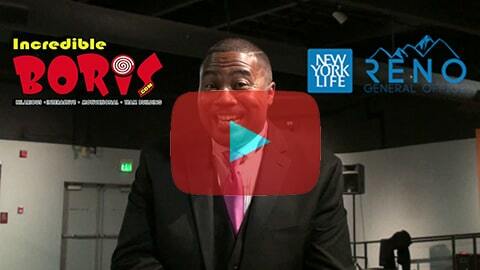 Best comedy hypnotist and motivational speaker for corporate events, fairs, theater, schools and TV. 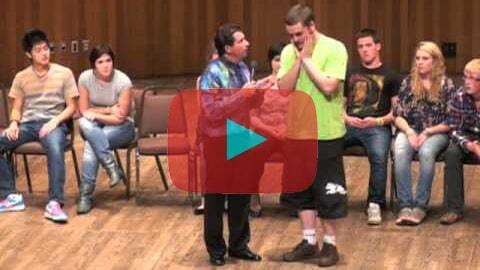 Multiple keynote speaker hypnosis shows and seminar choices are available. Cost depends on length of presentation, travel requirements, date and amount of customized material. Please inquire for a quote. Interactive keynote that exceeds expectations. Hire an experienced motivational speaker and comedy hypnotist trusted by event planners to deliver excellence in front of an audience and behind the scenes. Boris Cherniak delivers event organizer's precise vision and message while engaging and inspiring audiences. Incredible hypnotist and keynote speaker BORIS Cherniak appears worldwide at corporate events, conference keynotes, theatre, fairs, universities. He has headlined on the Las Vegas strip, entertained troops in Afghanistan and empowered women at a leadership conference in Dubai. Event attendees get motivated and inspired. His monicker, Incredible, describes the sentiment of every keynote literally - positive attitude and a constant state of mind. Hire the best motivational speaker with a message of limitless possibilities as part of a hilarious interactive keynote. Ready to book or have questions?